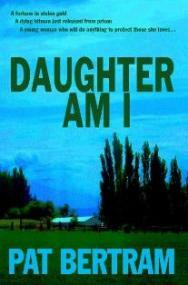 It has been my dream and my desire to be a published author. I believe someday and someway wishes and dreams can come true and I am working and trying with all my heart and soul to do the things I want and need to do. I love to write. 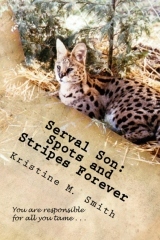 I have poetry, short stories, novels, two more books including one that is nonfiction and illustrated a children’s book that I wrote. I want to be able to reach out to others. I would like to be able to make a difference. I guess you might say it is my voice. I want to say that we are never too old or too young to make dreams come true if we are willing to work hard and believe. Never give up. To tell you a little about myself, I am a wife, mother, grandmother ( I really like that one) daughter, sister, aunt, neighbor, friend and whatever I have been needed to be. Now I want to be an author for me. I want to be able to reach out and make a difference. I want each and every person who might get one of my books to have something special that reminds them in their own lives to never give up. Whatever their dreams and wishes are, they can come true. I think that is part of why I designed my own covers. I do understand that there are professionals that have the training and talent to do wonderful cover designs, but I wanted these books to be something I could share from cover to cover. The first one Life Goes On was done from a photo that I took over 20 years ago. I love the intense sunset over the road where the headlights showed of others passing along on their own journey in life. I want people to be able to hold the book and look at it and it be more than just another novel. The second novel was a challenge. I did not want to use a photo. I had decided I would find a way to use a painting and not just any painting, but one I had painted myself. I did several but could not help coming back to this same one. The cover for Journey Home allows me to not only share a story I hope you love to read, but one of my paintings at the same time. My next two books also have covers that are my paintings. I hope for the books to be special from beginning to end. It has been a long journey to reach this point as I hold the books in my hands. People often ask me how long it takes to write a novel. That is a difficult question for me to answer. When I started Journey home I had not finished it when I was in a head-on collision. The recovery took a long time and for a while I could not even use my hands. As I was able, I went back to working on the novel a little at a time. I still paint and write and want to live my life and not just be alive. I want to have a purpose and make a difference. I will keep trying and never give up. I Will Not Give Up…Not Today…Life Is A Journey is the title of one of my books. I love to write fiction but this is real. This book is one of the most difficult things I have ever written. I have tried to find words to share not only things from my life but thoughts, feelings and emotions. There are some things that simply had no words to tell but I have tried to tell those things and more. 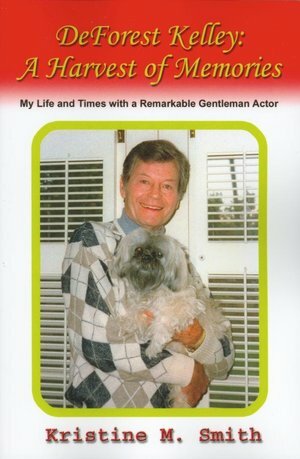 I want this book to be something that might help to make the title real. I hope it helps others to know to never give up. We can do amazing things if we keep heart and keep trying. Life is a journey. There are times that the path is smooth and well traveled and others it seems steep and difficult…but if we do not give up, there is so much more that awaits us. When I had to decide on a book cover I chose one of my paintings. 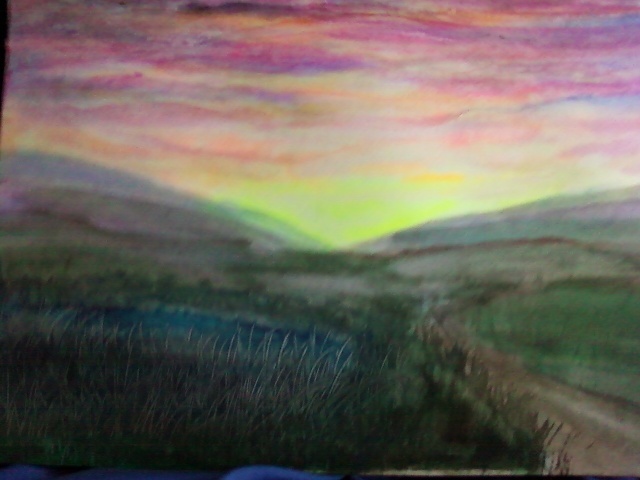 I painted this in watercolors. I love to paint paths that lead to ….. I hope they will lead to where we need to go in life. I hope there is love, hope, happiness, and wonderful new things that await us at the end. This is not the wonderful moments showing only the smiling, happy, and inspirational times…I am trying to make it real and share a piece of my heart, life, thoughts, feelings and so much of who and what I am. I wrote this from raw emotion and a desire to share things that had never had words before. The words did come and at times pour onto the page rather than to be crafted and worked into totally correct presentation. What I have written is not a writing piece but a piece of heart and me. This may be my story, but I hope in sharing it you will find meaning, hope and knowledge that we will not give up…Not today. Starting April 4. 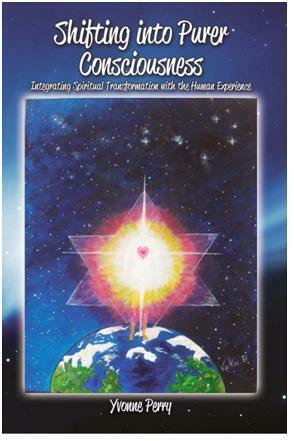 2012 I will be offering for 3 days this book in ebook form for free. It is my Easter gift and I hope it may help another to find hope and a new beginning. The day I have in mind happened long ago but is still in my mind so vividly that there have been times I could see and hear it all over again. WOW…This is not going to be easy to find words. I think I will try to tell it as a story would be told. The day was so beautiful. The sun was shining and we had the BBQ grill fired up out back. Family was there visiting and the kids were laughing and talking. It was a beautiful day. What could go wrong? Things were even progressing so well with writing the book that I could hardly wait for the times I had to work on it. The family was supportive and encouraging me. They believed in me more than I did. We needed some things at the store and my daughter offered to drive me. We approached a major highway with 4 lanes of traffic traveling highway speed. When she stepped on the brake the car did not stop. She turned to avoid going into traffic on the highway but it was too late and put us head on with a full size van that had no way to stop. My daughter hit the steering wheel so hard that her teeth cut completely through her bottom lip. Her entire rib cage was bruised and she would hurt almost everywhere that she could hurt. It shows how lucky we really are how much we should realize that the good Lord does look after us because if you could see and really know what was involved in this crash and what could have been it sends chills through me as I sit here and type. If you want to talk about pain….she had pain that no pill or shot could cure. The emotional pain breaks my heart. She was driving and it was an accident but she felt responsible. She was trapped in the car with me. There are no words to tell what it had to have been like for her. She is a kind and caring person who was hurt, hurting, scared and in shock. I did not have on a seat belt. The impact was so intense that the car motor was pushed back and pinned my left foot to the floor of the car. As the car flew out of control it must have spun and twisted every way. The first time my head hit the windshield, it broke into millions of little squares of broken glass. There was actually a concave impression bulged out of my face in part of it. You could see by the glass, that I hit really hard at least 3 or 4 times. 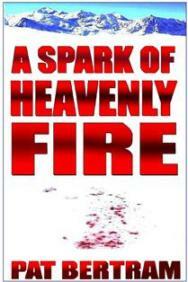 Each time I hit my face was raked across the broken glass and gashed and shredded. The car motor pinning my foot held me from going out onto the hood or roadway but had a whiplash action and I was the whip. I hit the dash so hard that it broke the dashboard of the car…with my ribs and chest….I was broken too. My hands were crushed. My forearms were crushed. My hand had been cut so deeply that it appeared almost bisected on the right side and the left was very deep. The foot that had been pinned to the floor of the car of course was very broken. Blood was everywhere. We were trapped inside and bleeding. I have to stop now at this point. I have said that I was going to try to tell many things and do it as honestly as possible, but right now it is not that I am having problems remembering….I can feel it. I can see it. This part may sound silly or overly emotional but I sit here with tears in my eyes. I want to take a moment to describe some other things. When there is an accident such as this one especially on the highway I have heard many times about all of the onlookers. I have even heard of how there will often be so many people there and no one lifting a finger to help or they just drive on by. That was not the case. From all that I have heard there were many who stopped but people were anxious to help anyway that they could. There are some times there is nothing that you can do but this was amazing. When you say that people would give you the shirt off of their backs that was more than a phrase. I was trapped in the car and two women who were dressed and on their way to work crawled inside of the car with me. They worked to protect my neck and keep an airway open. They worked to try to keep me alert and help me to live. There was so much blood. Most of my face had been shredded beyond the appearance of any human. From the center of the forehead was a gash that went to the skull. My right cheek was deeply cut through. 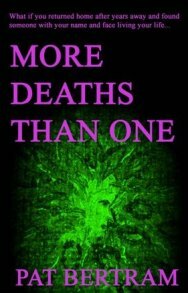 Nose, eyes, and almost every surface of the face was cut, sliced, gashed and gouged. My hands were deeply cut and gushing. They desperately tried to slow the bleeding as I faded in and out, trapped in what could have been thought of as a twisted metal coffin. One of the bystanders actually stripped of the very shirt that he was wearing when he dressed to go where ever it was he was traveling and gave it to them to use. I can not imagine all of the emotions, fears and thoughts my daughter suffered as she was also trapped with me seeing such a sight and knowing it had been her mother only moments before. What was left of me was no longer recognizable….. The two women, that to this day I do not know or have ever met….stayed with me, worked with me, helped me and did all that they could do to help me live. I wish I could meet them. I wish I did know who they were. They did so much more than they will ever know in their care, actions, and concerns. All of the people who cared and tried to help did help just by their attitudes as well as their actions. They cared and they tried. One man offered his cell phone to my daughter when they got her out of the car so that she could call anyone she needed to call. 911 had already been called. She was covered in blood that would get on his phone but he did not hesitate. She called my husband…her dad with news he was not prepared for. We were not at the store asking what else he might need for the cook out. We were in a nightmare. Trapped in a car after a head-on collision is not a memory one wants to relive and in part there is no memory. I faded in and out even with the best efforts of those helping me. I do not know how they got me out and have not asked. I remember the paramedic asking me if I was on drugs. I thought that was silly…I do not take drugs. You also are not thinking clearly. He seemed emphatic and asked several times if I was sure I was not on any drugs. I have had problems with my back and arthritis for most of my life. I live with the pain but take BC’s, which is powdered aspirin. Later in life I developed a heart problem and they wanted to put me on blood thinners. Some in our family have had some severe side affects so I chose to continue with the aspirin since it was a somewhat high dosage everyday for years. I was able to manage to say BC’s. I remember only brief sensations of the trip to the hospital. I could hear the siren wale and feel the sensation of speed in our travels and then it all faded away. There was nothing. Far away I could hear voices again. There were many voices. Tones and sounds of urgency but I could not focus to listen to what they said. They were still so far away. It was so hard to hold on to even be that close but then I heard another voice. I knew that voice. I had to come back from my far away place to reach that voice. My husband’s name is Albert. He was talking to me. He did not yell or shout to me. He spoke with more than his voice. He spoke from his heart and I could feel his words and hear him. He told me what I wanted to hear. He knew what my question would be. My daughter was doing fine. She was going to be all right. She may think that she is grown but she will always be my little girl. I wished I could hold her, comfort her and let her know momma says it will be ok. He continued to speak to me. He was there and would not leave me. He would run back and forth between my daughter and I but would not leave me. I had to hold on. The doctor was working on me and sewing me up and they needed me. He said that he loved me. He told me that the children loved me. I was hanging on. I was trying. I could see a glimpse through all that was left of my face and the doctor was sewing me back together. Oh what a nightmare. How could it all be true? It was true. I had to hold on. Then they all faded away. The paramedic that worked to save my life, took me to the hospital where his father waited. His father was and is such a talented and good hearted doctor. My life was in his hands and the good Lord above. I could hear Albert’s voice. There were undoubtedly others talking but I could only hear Albert as he comforted, reassured me and explained what was going on. Then I heard a loud voice filled with its own authority demanding that Albert leave. The police officer said that he had authority and he decided Albert needed to leave the room. “I am the authority in this room and the only authority. He will not be going anywhere. He is her only link right now and if he leaves we could loose her. Her death would be on your hands and I would see to it you get the credit. Now, get out!” The doctor was in control. The voices were gone again. I could hear Albert now and then, but was at peace and far away from all of the trauma. I do not know how long they worked sewing and doing all that they could to save me. I could hear bits and pieces, here and there. I must have been in a room but still could not see. I heard Albert explaining to someone that it would be hour by hour. It could be several days before they knew if I would make it. I drifted away for a while. How long??? I do not know. I could hear Albert again and he was telling me that he loved me and I could do it. He explained that he understood how hard it was, but they needed me. They needed me. The words echoed in my mind. The kids were grown. He said they needed me and loved me. You can hear songs sing about love can carry you through or make the world go round or a dozen other things…but they loved me? They needed me? I could do it? And then it was all gone again. Time is a relevant thing. It is relevant to the one experiencing it at the time. That may sound strange, but for me time would stop and start. I was not having dreams or even felt a sound sleep. There was nothing. There was not even the void of nothing. Time stopped and then resumed again. I came and went. I do not know how much time passed but I was able to be there more. I was able to hear more and then see some. My glasses were broken and I can never see much other than light and dark and blurs of color without them. I complained I needed to see. What had happened to my face? My hands were damaged and sewn back but I found shredded tissue and glass shards with every touch of my face. Pieces of my face were like ground beef. My family became concerned as I frantically pulled bits of glass and other things from my head and face. The nurses assured them if I did not seem overly upset to let me work things out in my own way and that it would hurt nothing to remove as much as possible. They mentioned it would be years if ever before all of the glass was out. They were right. I still have bits and pieces work their way up. Albert brought me glasses so I would not feel so helpless and blind. The room was always so dim. I asked for them to open the curtains but he said they were supposed to leave them closed. Little by little I began to notice things. There was no mirror in my bedside table. There was no mirror over the sink, but there were holes where there had been one. There was nothing in the whole room that would reflect an image. I did not realize that they were protecting me and allowing me time to gain in strength to survive and endure not only the broken bones, cuts, and pain but the loss of something very personal…my face as I had known it. They were allowing visitors but they were approved and cautioned before they came into the room not to discuss my face or show a reaction to my appearance. I had not seen my face but in my heart feared I no longer would even appear human. I had a small pile of pieces of pink shredded flesh in with the broken glass. I would like to find words to explain what I felt at that time but there is such an intensity and confusion mixed with fear, and pain, and morphine there are no words. I kept hearing things though. I heard they loved me and needed me and that they believed in me and I could do it. I was going to be fine. 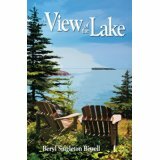 A View of the Lake, by Beryl Singleton Bissell, is a vibrant collection of reflective essays centered on the North Shore of Lake Superior, Minnesota. 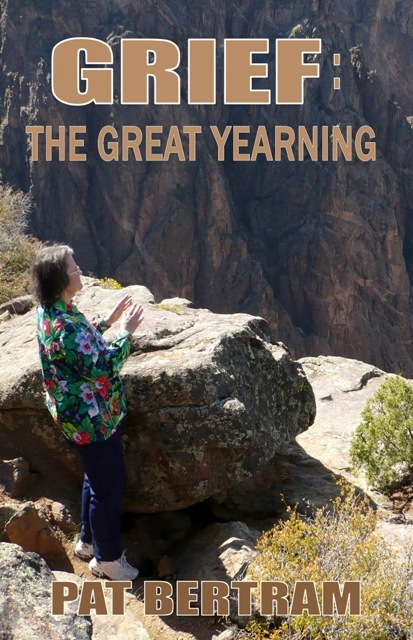 Each slice-of-life chapter transports the reader into Ms. Bissell’s life in this majestic country, as well as connecting us to her gentle spirit. 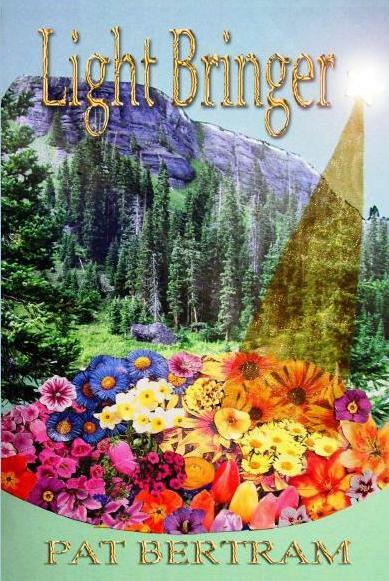 Sometimes thoughtful, often humorous, and ever delightful, the work spans topics dealing with the life of “newcomers” in the town of Schroeder to an intimate and stirring connection with the great outdoors. From encounters with bear, moose, deer, and rare bird species, to a private viewing of the Northern Lights, to poignant experiences with neighbors, this assortment of day-in-the-life type stories will charm the most jaded reader. Take, for example, this excerpt from “Historical Society”, when the author joined the Schroeder group to help document stories of the residents. Oftentimes the locals lamented not having recorded stories from their parents and grandparents, and expressed a sadness over this loss. “There were times when, as I sat taping others’ memories, I experienced this loss personally. My mother died before I was wise enough to ask questions. I now hold only fragments of her life, each piece bristling with questions, each piece weighted with the unknown. Who among us hasn’t experienced such thoughts? Universal themes such as this loss of family history, this common plight among man, resonate throughout the book. I often find myself up against the same dilemma. Even now, fourteen years after the death of my father and last remaining grandmother, a question about our heritage pops into my mind, and I reach to pick up the phone to call one of them, before realizing once again, it’s too late. Ms. Bissell’s themes resonate with this reader on a rare and special frequency. But Beryl Singleton Bissell’s book is not all sadness and longing. No, on the contrary, it is filled with the spirit of adventure, love for fellow man, a passion for and connection with each and every tiny aspect of nature, and most of all, the embracing of life. Ms. Bissell frequently shares philosophical gems, such as this excerpt from the chapter named “Shrike Attack”. Although her readers may never physically see the Northern Lights, in their minds they’ll never forget this dazzling show. Ms. Bissell has been through some incredibly tough times in life (see her first book, The Scent of God), but it’s her faith in God, her indomitable spirit, and her ability to enjoy the little things in life that carry her through, in addition to her devotion to her wonderful husband, Bill. But I believe it’s her ability to commit all of this to the written page that may have helped her purge her spirit of those sufferings best of all, and which will continue to inspire us all. The process is sublime, for writer and reader, and I for one thank her for taking the time to share these gem-like stories with the rest of the world. I’d like to finish with one last quote from A View of the Lake, taken from the chapter entitled “A Night of Shooting Stars.” In this essay, the author has just witnessed the Leonid meteor showers. Very highly recommended by Aaron Paul Lazar. Buy it here. 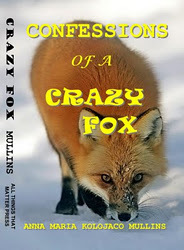 Confessions Of A Crazy Fox is my memoir that spans most of the 20th century. It is an unusual Texas based story that has almost all the quirks usually associated with our great state, drama, scandal, greed, oil, religion, and humor. This is an brief excerpt that involves stories my mother used to tell. She took the job with Howard Hughes’ aunt in Houston Texas in 1930 to help save the family cotton farm at the beginning of the Great Depression. “Mother went to Houston in 1930 and lived one of her favorite adventures working four years as a nanny for Dr. and Mrs. Frederick Rice Lummis; they had three children. Annette Lummis was Howard Hughes’ Aunt; she was his mother’s younger sister. Mother loved to tell stories about how the “rich” lived and Howard. They had an interesting relationship and mother probably told me more about it than she did anyone. That is because I quizzed her about it. Mother, barely seventeen, found herself living in a strange and enchanting new world of opulence she never knew existed until she became a part of it. She always spoke in awe and appreciation of those years; they affected mom the rest of her life in a positive way. Mother told me these “Depression era” stories over many years and I’ll relate what I remember. There are gobs of stories of Howard Hughes in print and a few I’ve read document what mother told me, but some of the things I’ve never heard from any other source. Mother saw Howard Hughes on a number of occasions when he came to Houston and stayed or visited with his Aunt. Mother said he was still close to her at the time because she moved into his family home and helped take care of him after his parents both died by the time he was 17. He was in his latter twenties at the time mamma met him and she said it was apparent he was already a strange dude, but she evidently liked his attention. Mother and Mrs. Lummis remained friends for over 40 years. I last saw saw her in Hermann Hospital in Houston in 1972. Dad had to have a hip transplant and Annette Lummis came to visit, she was in her 80′s by then.